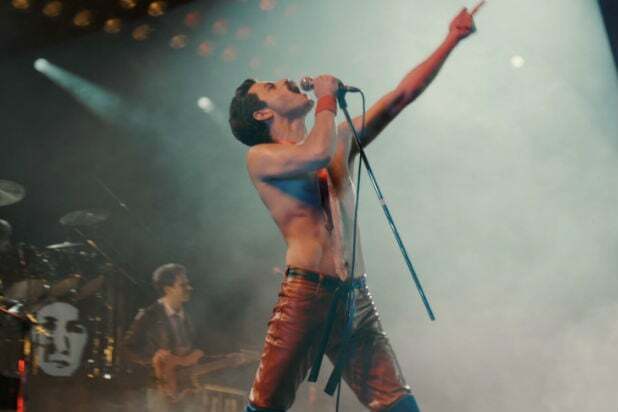 'Bohemian Rhapsody,' 'The Favourite' Win Top Awards From the American Cinema Editors ACE Eddie Awards television winners include "The Marvelous Mrs. Maisel," "Atlanta," "Killing Eve" and "Bodyguard"
“Bohemian Rhapsody” and “The Favourite” have been named the best-edited feature films of 2018 at the American Cinema Editors’ ACE Eddie Awards, which took place on Friday night at the Beverly Hilton Hotel. “Bohemian Rhapsody” won in the Best Edited Feature Film (Dramatic) category, while “The Favourite” topped the Best Edited Feature Film (Comedy) category. Since the ACE Eddie for feature film was split into separate drama and comedy or musical categories 19 years ago, the winner in the drama category has gone on to win the Academy Award for film editing 13 times, and the Best Picture Oscar seven times. The winner in the comedy or musical category has only won the Oscar in those categories once, when “Chicago” did it in 2003. But over the last five years, the two groups have diverged, with the ACE Eddie winner only winning the editing Oscar once, and never winning Best Picture. This year, all five of the Oscar editing nominees were also nominated for the ACE Eddie Award, as were seven of the eight Best Picture nominees. “Spider-Man: Into the Spider-Verse” won the award for the best-edited animated film, while “Free Solo” won the prize for the editing of a documentary film. Also during the ceremony, director Guillermo del Toro received the Golden Eddie Filmmaker of the Year Award, while Lifetime Career Achievement Awards went to editors Jerrold L. Ludwig and Craig McKay. Best Edited Animated Feature Film: “Spider-Man: Into the Spider-Verse,” Robert Fisher, Jr.